This volume brings together a collection of new essays by leading scholars on the subject of causation in the early modern period, from Descartes to Lady Mary Shepherd. 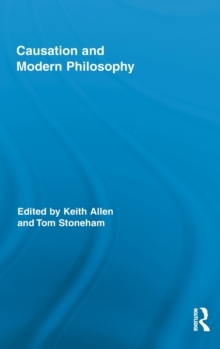 Aimed at researchers, graduate students and advanced undergraduates, the volume advances the understanding of early modern discussions of causation, and situates these discussions in the wider context of early modern philosophy and science. Specifically, the volume contains essays on key early modern thinkers, such as Descartes, Hobbes, Spinoza, Leibniz, Hume, Kant. It also contains essays that examine the important contributions to the causation debate of less widely discussed figures, including Louis la Forge, Thomas Brown and Lady Mary Shepherd.